Almost every aspect of both our personal and professional lives have evolved to the point where a variety of choice is the expected norm. We buy things how we want; we work where it makes the most sense; we personalize how we appear and communicate; and we’re partnering with a greater number of organizations than every before. Just look at how many apps are on your smartphone or open tabs on your browser, and it doesn’t take long to realize that we have internalized how to find the right fit for each challenge. When it comes to IT organizations, we haven’t been nearly as flexible. While SaaS adoption has grown for many non-differentiated services, the adoption of Cloud Computing is often considered the 3rd-option after internal data-center resources or outsourcing contracts. But this way of thinking is beginning to change. We’re starting to see large organizations become frustrated with their outsourcing contracts (here, here). We’re quickly seeing a significant change in the companies identified as leaders and visionaries (2010, 2011, 2012) in the cloud service provider market, especially towards those that offer differentiated services. Throw in the emergence of several viable PaaS platforms (Heroku, CloudFoundry, Apprenda, etc.) and we’re on the cusp of the 3rd option, variations of Hybrid Cloud, becoming more and more mainstream for IT organizations. The end of existing outsourcing contracts that haven’t kept up with technology trends, especially those longer than 3yrs. Uncertainty over the longevity of existing/legacy hardware platforms, such Itanium or RISC-based servers. Uncertainty about the longevity of existing/legacy hardware providers, such as Dell or HP. The opportunity to truly change the economics of business-critical applications by moving to both a virtualized environment and OPEX-based cloud deployment model. Shifting business environments, driven by mergers, globalization, or evolving industry regulation (HIPPA, FedRAMP, PCI-DSS, etc.). 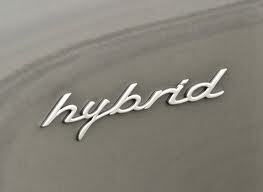 The evolution of “Hybrid Cloud” as a concept has a somewhat convoluted history. It began as the grey area between “Public Cloud” services and IT organizations virtualizing their data centers and terming it “Private Cloud”. A promise of the best-of-both-worlds that was difficult to achieve. Now just as we’ve seen mobile computing emerge as a disjointed but powerful addition to Enterprise computing, we’re beginning to see the evolution of Hybrid Cloud thinking. Companies grasp that the best-of-both-worlds middle ground delivers better cost models (consumption-based OPEX vs. CAPEX) or application-awareness (SLAs, High-Performance) or industry-specific compliance. It augments existing IT organization skills where needed, or simplifies setup and consumption for demand-starved business units. In other words, the Hybrid Cloud of the next couple years isn’t necessary a magical bridge, but a simplified way to give IT organizations confidence that business productivity and demand can be satisfied outside of internal data centers or outsourcing. Hybrid Cloud unlocks the third option, as well as unlocking a set of creative thinking about how to best leverage the new consumption models. I expect that we’ll see many IT organizations prioritize their evaluation of Hybrid Cloud options, in many cases prioritized above Private Cloud, which is still struggling to find wide-spread success beyond data center virtualization. The economics of Hybrid Cloud’s operational flexibility will outweigh the cost savings that no longer exist once the low-hanging applications have been consolidated and virtualized. @Steve - in the past, when the only options were internal or external, Private was the choice for IT organizations. But that is proving to be a complex journey, both in terms of evolving skills and changing consumption culture within the business. Hybrid options like Virtual Private Cloud allow the costs to be OPEX, it abstracts some of the infrastructure complexity, it can better embed security/compliance, and allow the application teams to retain visibility and expertise.